Last December, rural Broadband providers across Canada woke up to find $1.25B in Christmas presents under the tree. 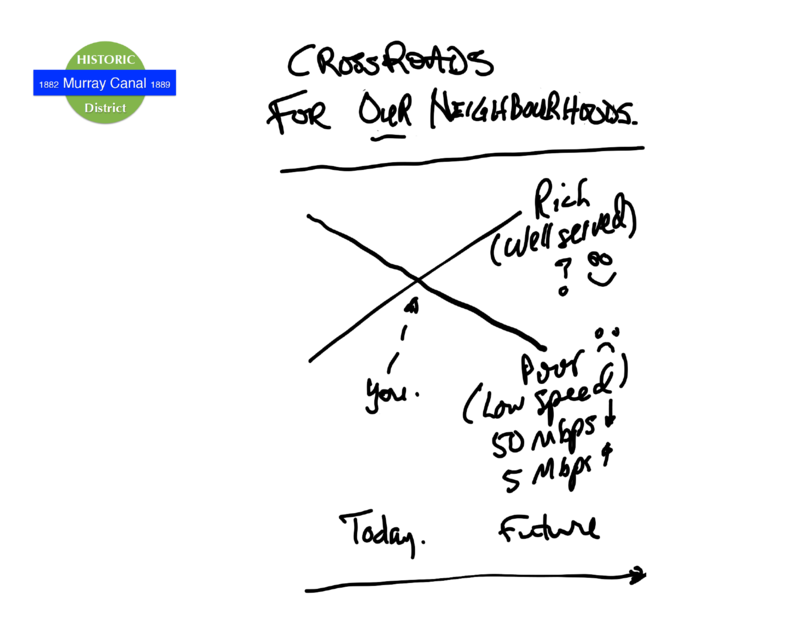 We are at a crossroads for our neighbourhoods that’ll be determined by how many of those presents we get locally. The Federal Government announced a $500M fund: Connect to Innovate.. to build faster rural broadband across the nation. Funding is targeted at extending Internet Backbone services to unserved areas. It also provides help for areas that don’t have a minimum of 5 Mbps down and 1 Mbps up. Then the CRTC declared broadband service to be an essential service for all Canada, rural and urban.. It set up a $750M fund to assist service providers to make 50 Mbps down and 5 Mps up the goal for all Canadians. Whether this is as good as it sounds depends on how our community rises to the challenge of getting enough of this money for ourselves. If we’re not careful, 50 Mbps down and 5 Mbps up is exactly what we’ll get built in the most rural areas. And in a short time it will be the Xplornet of tomorrow: A credible solution that provides an adequate internet service only for now. Customers will be frustrated looking at nearby community areas fortunate enough to get much faster services. Unless we take control of our Internet future we will have Internet-rich and Internet-poor neighbourhoods locally and vastly inferior services than many other communities. 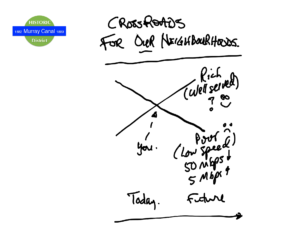 Previous PostRural Broadband at a CrossroadNext PostRural Broadband Crisis: Money Is Available Now!